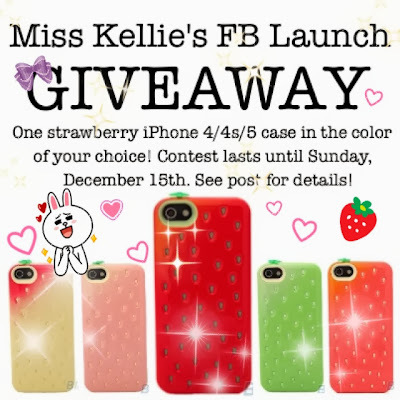 Dear Miss Kellie,: Facebook Launch + Giveaway! 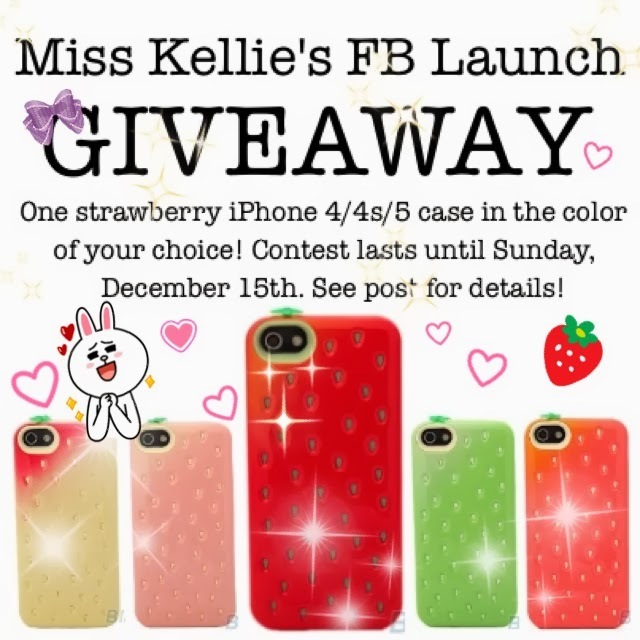 I'm giving away one of these beautiful iPhone strawberry cases (I own the one on the far right in the above picture!) because they're so adorable and I love my own so much. The contest will end on Sunday, December 15th and the winner will be announced on Monday, December 16th. 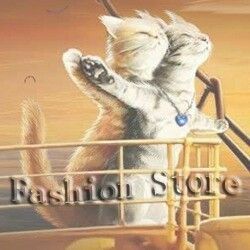 Open to followers worldwide. Thank you all so much for your support and may the odds be ever in your favor!